How does Alo Moves define Difficulty & Intensity? 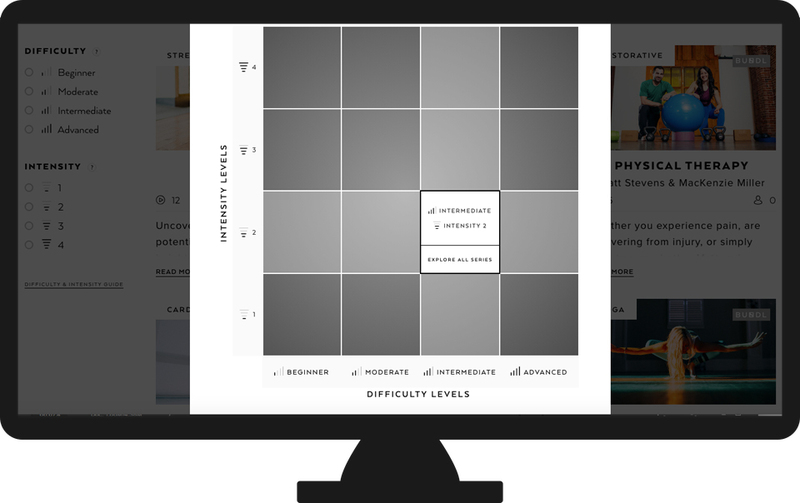 In addition to the Difficulty & Intensity Filter on our website, we created a guide explaining in detail each difficulty and intensity level to better understand where to begin your practice! Click here to find this guide on our website, or learn how to use our Difficulty & Intensity Filter by heading here! Our Difficulty & Intensity filter is currently only available on our website, but hang tight because we plan to add it to our mobile apps down the line! 1. 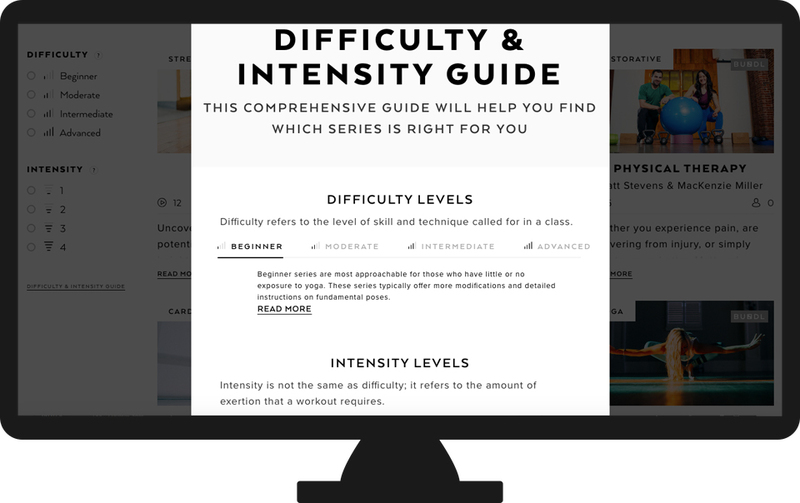 You can use this Difficulty & Intensity Guide located at the bottom of the Difficulty & Intensity Filter (on our website) for a more in-depth explanation of each level. This guide will help you find the perfect series for your level of practice. Here, you can click through each level to find out which series' are available for you. Use our definitions to assess your self and level of practice to get started! 2. Below these definitions, you will find a chart displaying each of our difficulty and intensity levels. Here, you can match your preferred level of difficulty with your preferred level of intensity, and click the "Explore all Series" arrow below to find the series within these levels. For direct access to this guide, head here to get started finding your perfect series! If you have any questions, send us an email and we will provide more guidance for you! How do I browse series by difficulty and/or intensity?